Perfect for the beekeeper and tinkerer! A Flow Frame kit can be used with an existing Langstroth Super, you can modify yourself, or why not build your own? See our free box modification plans here. Build a Flow Hybrid Super to harvest honey using the Flow system and still get 4 conventional frames of honeycomb. Build a Flow Super to harvest honey using the Flow system. The patented Flow Frame technology is the most significant development in beekeeping since 1852. 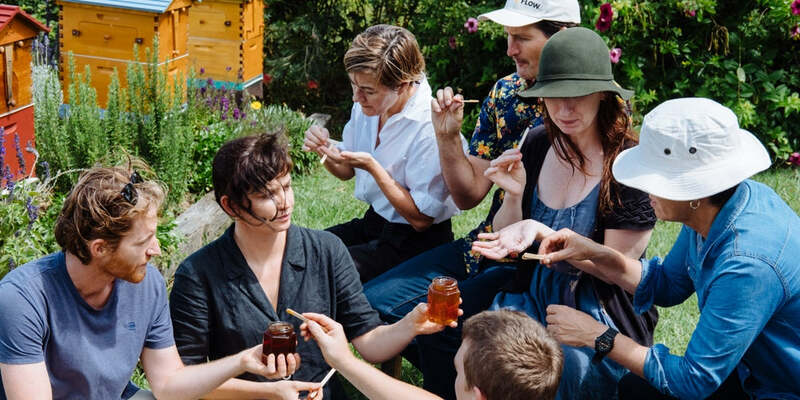 Manufactured in Brisbane, Australia, from durable, BPA- and BPS-free plastic, Flow Frames are taking the world of beekeeping by storm. Ten years in the making, Flow Frames are gentlest way to extract honey ever conceived, for both bees and beekeepers alike. The unique clear end-frame view allows beekeepers to observe their busy bees and see at a glance when the honey is ready. Then it’s simply a matter of putting in the honey collection tube, then inserting and turning the Flow Key. The honey cells are split vertically and, when full, release around three kilos (6.5 pounds) of clean, pure, fresh honey, with no further processing or filtration required. All Flow Frame packages come with the Flow Key and one Honey Collection Tube per frame.